As we’ve previously reported, air pollution is an invisible killer, estimated to cause 400,000 deaths in Europe – that’s ten times the number of people killed in traffic accidents. In towns and cities, particulate matter and nitrogen dioxide (NO2) from vehicle exhausts are particularly associated with serious health risks, sometimes prompting cities such as Paris to take drastic action. Since 2010, 16 zones across the UK have failed to meet EU standards on NO2 in the air, prompting a legal challenge by a group of environmental lawyers. At the end of April, the UK supreme court ruled in the group’s favour, and ordered the government to formulate new plans for cutting air pollution by the end of 2015. As if to remind us of the ongoing presence of air pollution, earlier this year a warm spell of weather pushed smog alert levels in parts of England to “very high” – the most extreme warning that the government’s air pollution monitoring authorities can give. The British Lung Foundation advised people feeling the effects of the smog in the South East, Greater London, Yorkshire and Humberside and the West Midlands to avoid busy roads during the rush hour, while people with pre-existing conditions, such as asthma, were advised to avoid strenuous activity. In London, a long-term strategy to address the problem of air pollution from vehicles has recently been announced. The world’s first Ultra Low Emission Zone (ULEZ) will be launched in September 2020, requiring vehicles in central London to meet new emission standards, or pay a daily charge. The ULEZ is expected to halve emissions of nitrogen dioxide and particulate matter, and it’s hoped the move will also give a boost to the green economy by stimulating the development of ultra low emission technology and vehicles. London already has a low emission zone (LEZ), which was introduced in 2008, and the ULEZ will bring in more stringent emissions standards. However, few other UK cities have followed London’s lead. Last December, the House of Commons Environmental Audit Committee (EAC) called for a national framework for LEZs in the UK, similar to that in Germany, where there are more than 70 LEZs. While London is taking steps towards air quality improvement, other European cities have already progressed well beyond the European Union’s limit values on emissions. Judges assessing the efforts of 23 major European cities to improve air quality placed Zurich in first place due to a policy mix which includes a strong commitment to reduce pollution from vehicles. Other cities achieving high rankings included Copenhagen, Vienna and Stockholm. London also made it into the top ten. At the other end of the scale, Lisbon and Luxembourg finished in the last two places for their “half-hearted” approach to tackling air pollution. Glasgow, the only other UK city included in the survey, received a disappointing ranking – fifth from the bottom. The survey reported that, even though annual mean levels of NO2 fell, the city did not manage to comply with European limit values. 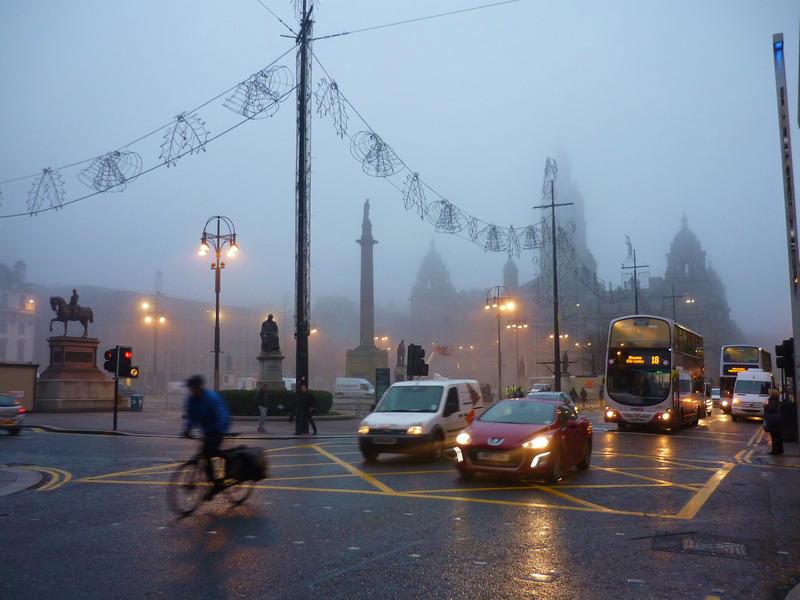 And although Glasgow City Council planned a trial LEZ during the 2014 Commonwealth Games, the implementation was postponed, pending a new Scottish Low Emission Strategy.